Time for me to write some of these blogs! Right from the dog's mouth.... the world as I see it! You can see on my face the surprise when my pet parent said "Toby. Sit." and I did! I even shocked myself. This was in my first week of being adopted by my FURever family. You can probably tell I'm a fast learner. My pet parents have been working pretty hard on my training. My motivator is the Kong not dog treats. Part of training us furry family members is being consistent, finding what makes us tick, and, using the same key words. "Sit" is pretty easy as most folks say "sit" or "sit down". But geesh ... once you get into trying to make us focus... that's where it all goes downhill! "Toby Look", "Toby, here. Watch! ", "Focus", "Toby, what's this?" Pick a word... we're okay with one word sentences. and she is teaching my pet parents to use the same word. They've narrowed it down to "look" and "focus" so I am pretty much acing that command now. Consistency is important when we are learning but Gila reminded my pet parents to shake it up every now and then, so now when we are playing with the Kong, they use different commands. Sometimes they get me to "sit" and then "go play" or "take it". Other times they say "heel" then I get to fetch. This is keeping me on my toes ... gotta listen as don't know which command they'll use. My pet mom said "Wow. You can really see him thinking and listening." "Duh! I want the Kong, but most of all I love to make my pet parents happy!" Playing fetch is as much fun for me as it is for them.... it really is quality time. What are you doing this week to spend quality time with your pet? Please share your comments on the activities you love to do with your pet, what motivates your pet, and how much your pet rocks! PAWsitively improving lives by teaching kindness, acceptance and respect! Rita started Sparky Snacks... a business inspired by her special dog Sparky. Her newest member to the family, Max, also has some treats named after him. What has your dog inspired you to do? Get involved with dog organizations? Volunteer together at a hospital? Write a book about your furry friend? Rita's dog Sparky inspired her to start a business, making healthy dog treats he could eat while undergoing treatment for cancer. With extensive research, and taste testing, she created some recipes that were healthy, Sparky loved, didn't upset his tummy, and that every other dog who tried the treats, loved them as well. Her PAWducts are all healthy and natural ingredients and dog approved. 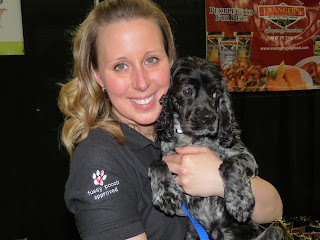 You can listen to PAWsitive Radio now and hear Rita talk more about the PAWducts, Sparky's story, the events she is involved with and the types of ingredients she uses for her fussy pooch approved treats. Posh Pooch Hotel and Daycare is Edmonton's premier boarding and daycare hotel, exclusively for dogs. Photo Credit: Posh Pooch Hotel and Daycare Poshpooch.ca You Are always welcome here! 1) Ensure that your pets vaccination is up to date, and that you have a paper record of it. The daycare and boarding hotel will need this information on file. 2) Dogs will also need the flea/tick treatment. 3) Bring your dog to the daycare or hotel before the actual date you are booking the dog in to stay, this way the venue is familiar to your dog. Share your pet's best daycare experience here, Pets connect people and create great conversations. Would love to hear your story and comments. Tim Battle, of Alberta SPCA was a recent guest on PAWsitive Radio talking about Pet Safe Keeping. Tim reported that "a study released by the Alberta SPCA in November 2012 revealed that 59% of pet-owning women in emergency shelters delayed leaving the abusive environment out of concern for their pets. In 36% of the cases, animals were threatened by the abuser – and 85% of those threats were carried out. Interviews with victims show how difficult it can be for women with pets or livestock to leave a violent relationship, and how the animals suffer as an abuser controls the victims by threatening or harming the animals. In addition, children often witness the animal cruelty – and in half of the situations it’s the child’s own pet that is threatened or harmed." Many years ago I was the Executive Director of a family crisis society and I heard many stories about how pets were abused in the home, used as control tactics or to emotionally abuse family members by threatening harm to the pet. Prior to this work, I was not aware of this issue. It was reassuring to hear about the Alberta SPCA plans and solutions for addressing this issue. 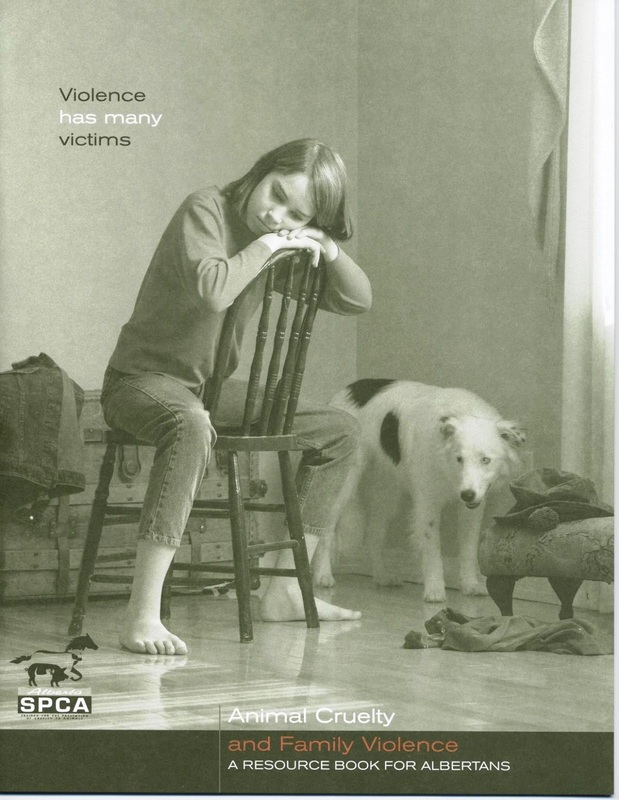 In the interview on PAWsitive Radio, Tim talked about how the Alberta SPCA is working with many other agencies to help and create solutions for both animal and human victims of domestic violence. Tim shared that a major goal of the partnership, which is known as the Alberta Alliance for the Safety of Animals and People (AASAP), is to"provide a province-wide pet safe-keeping network for family violence victims while they are in emergency shelters." The group includes professionals from many arenas, including: law enforcement, social services, veterinary services, health, animal welfare, women’s shelters, legal education and other communities. Music has always been an important part of my life, and I have noticed how music can also be soothing, relaxing and calming to animals. And it is going to the dogs... literally.. in a great way! 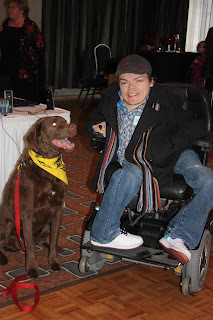 Justin Hines' music inspired me while I was writing Toby's books...You can see the love in Toby the dog's eyes as he got to hang out with his music hero, Justin Hines. Teaching children about kindness to animals is one way to help children develop empathy and a respect for others. A presentation to attentive elementary school children about kindness, as shared through Toby's story. Toby is on the floor sound asleep beside Christopher... waiting for his cue to participate in the conversations. Bullying is a serious issue, and one that requires attention and skill building. After working with thousands of young offenders and troubled youths, I know one thing for sure. Children who develop empathy, learn healthy problem solving and communication skills, and have a support system are much better prepared to deal with difficult situations, and bullying behavior. One such way to build empathy, unconditional acceptance and leadership is with the help of animals. 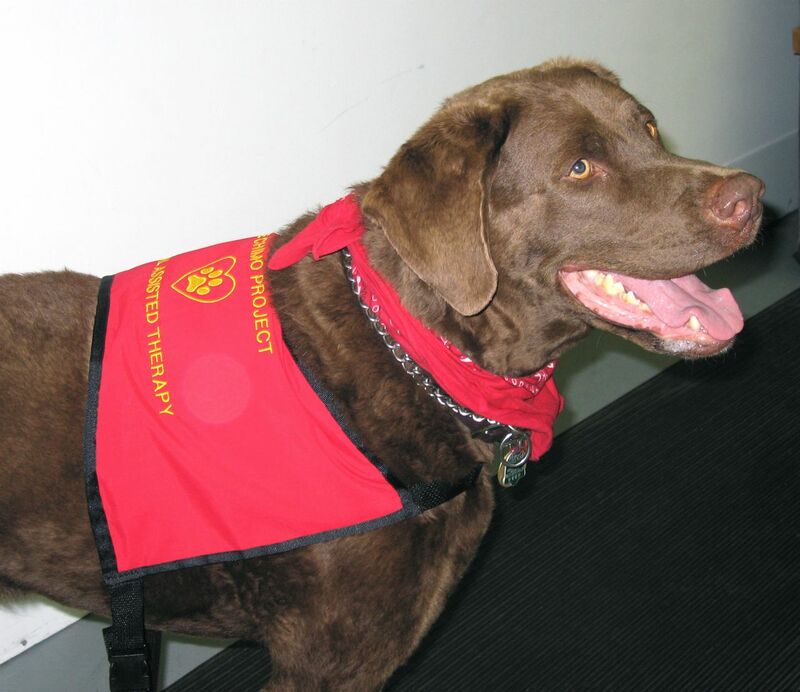 Our dog Toby was an animal assisted therapy dog, and was a great teacher to help children learn about leadership. 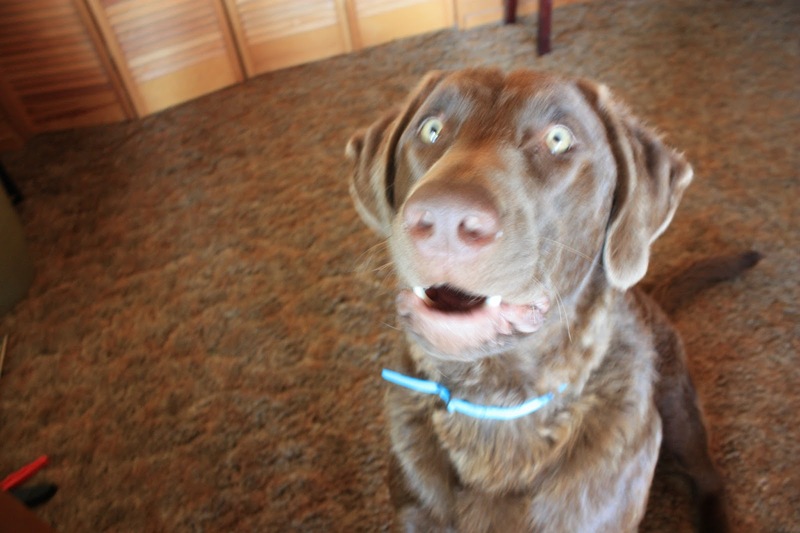 We explained to the children that dogs do not understand your verbal communication when it is unclear. Children learned to speak up confidently, and clearly so that Toby the dog understood their request (e.g. "stay", "sit", "fetch the ball", "come", "good boy!") and his attentive and loving response seemed to engage the children more. They learned that when walking a dog on leash, the human guides the dog and clearly states their expectations. Reinforcing the desired behavior in Toby was expressed by the children through their focused attention, and praise/positive feedback. Correcting his behavior (e..g. if Toby didn't sit when requested), the children learned to communicate respectfully and clearly, not our of frustration, while also teaching patience (with Toby, themselves and others). The conversations about how to translate these learnings into our human interactions in the classroom, on the playground, at home and in the community were incredible to be a part of. 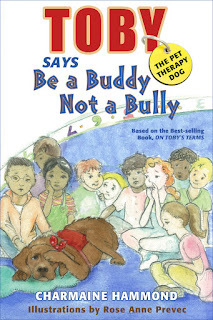 One grade 2 child said "You have to be a buddy... just like Toby!" That comment inspired me to write my second children's book. What other lessons can dogs, or animals in general help children learn?